Every year, Americans for the Arts partners with emerging leaders from across the country to host Creative Conversations. 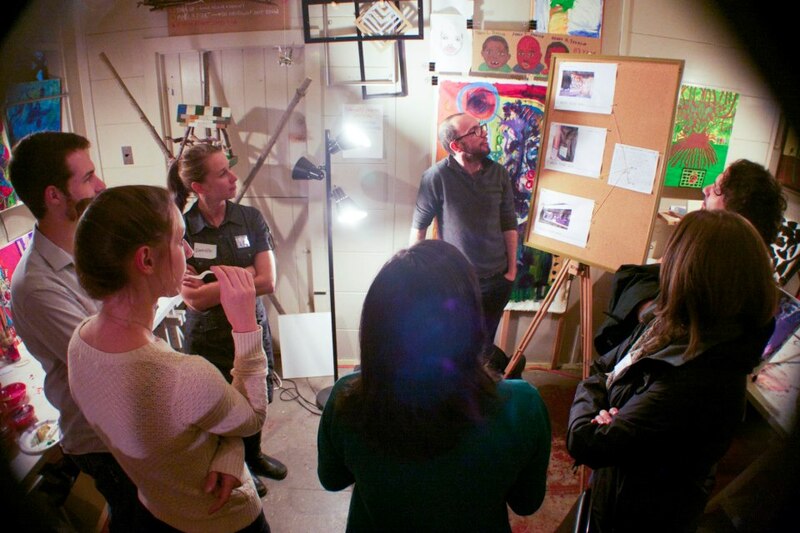 Creative Conversations are local gatherings of emerging leaders in communities across the country and are part of a grassroots movement to elevate the profile of arts in America. The purpose of this event is engage community members in an open discussion about arts related issues. Topics covered may include: vacant space, arts and business partnerships, the economic impact of arts and culture, public art, community-informed urban design, and what it means to be a vibrant community. Join Emerging Leaders in the Arts Network (ELAN) for Creative Conversations: Idea Lab, an opportunity for student and community leaders, campus organizations and student groups, and involved faculty to come together for a discussion about arts and culture programming and leadership at the University of Oregon. Share current and future programming ideas, challenges you might be facing, and tell us what you’re all about! Problem solve together, workshop strategies, and connect with others who are working to encourage arts and culture on campus, helping to create a more interconnected arts community at UO. Facilitated by Tomi Anderson, Cultural Services Director for the City of Eugene, Creative Conversations will provide opportunities for networking, and roundtable discussions about challenges and opportunities facing those working to cultivate arts and creative projects at the University of Oregon and beyond. Possible topics may include arts marketing and outreach, engagement, student retention/involvement, media, event/exhibition planning, and fundraising. We hope that you come away from Creative Conversations with new ideas or approaches to problem solving in the arts, heightened awareness of activities and events on campus and in the community, possibilities for collaboration, and expanded connections with others who value arts and culture leadership. 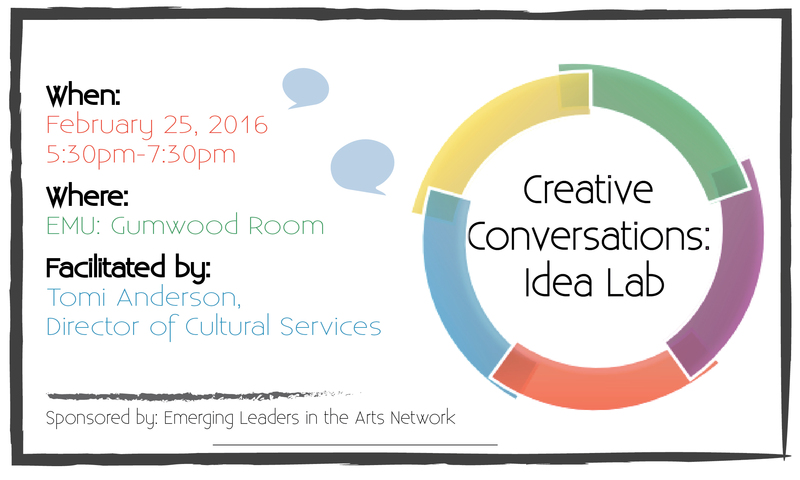 Creative Conversations is hosted by the UO Chapter of the Emerging Leaders in the Arts Network (ELAN), a student-run professional development organization at the University of Oregon that cultivates leadership, dialogue, and engagement within the arts and culture community.